The theme for our ‪‎travel pics this week is P for Pacific Islands. For Saturday, lets check out some street art in Noumea, New Caledonia. 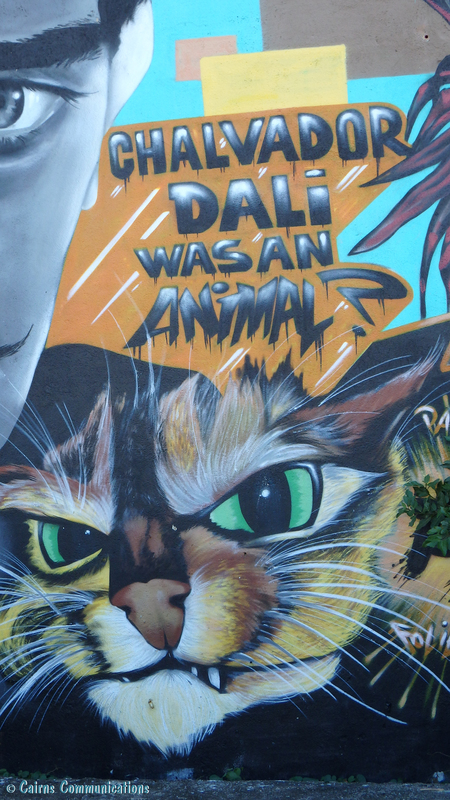 Just as you walk back to the Gare Maritime, or main Quay in Noumea, you’ll see a wall of amazing street art. It’s colourful, spectacular, and reminds me a lot of a similar street-art display we saw in Guadeloupe, in the West Indies. Noumea is often maligned by visitors who see it as perhaps the least exciting of their handful of port visits – but it has its own charm, and is well worth checking out.